In terms of the law, when an employee starts work with you, you have to give them their terms of employment, written down. Notice period that must be given on termination. These particulars of employment are normally put in a contract of employment. A contract of employment may not offer less than the Basic Conditions of Employment, but may offer more. (e.g. in the first six months of employment, notice period according to BCEA is 1 week, but you may state that it is 2 or 4 weeks, but not 24 hours). Some people like a very detailed, comprehensive contract of employment, but personally I think it is best to keep it simple and general, rather than “write yourself into a corner”. 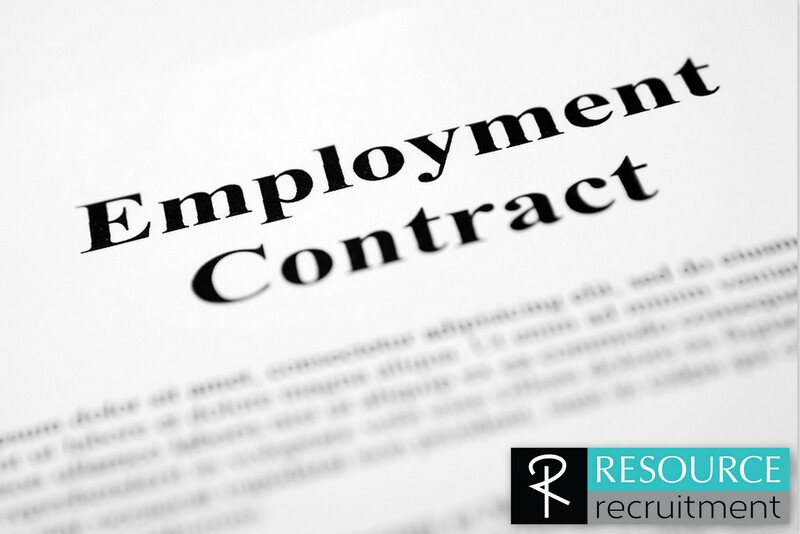 The following are a few points that you may wish to consider when putting together a contract of employment. We have template contracts of employment from the CCMA and Department of Labour that go with these points. If you would like a copy emailed to you, please email kirsten@2r.co.za and we would be happy to send it on. 1. Notice period and termination of employment. In terms of the Basic Conditions of Employment Act, any party to an employment contract must give to the other written notice of termination as follows: One week, if employed for four weeks or less; Two weeks if employed for more than four weeks but less than one year; and Four weeks if employed for one year or more. 2. Procedure for termination of employment. Whilst the contract of employment makes provision for termination of employment, it must be understood that the services of an employee may not be terminated unless a valid and fair reason exists and fair procedure is followed. If an employee is dismissed without a valid reason or without a fair procedure, the employee may approach the CCMA for assistance. 3. Wage/remuneration/Payment There is no prescribed minimum rate of remuneration. Additional payments (such as for overtime or work on Sundays or Public Holidays) are calculated from the total remuneration as indicated in clause 5.3 of the contract. 4. Transport allowances, bonuses, increases These are not regulated by the Basic Conditions of Employment Act and are therefore open to negotiation between the parties. 5. Hours of work 5.1 Normal hours (excluding overtime) An employee may not be made to: Work more than 45 hours a week; Work more than nine hours per day for a five day work week; Work more than eight hours a day for a six day work week; and 5.2 Overtime An employee may not work more than three hours of overtime per day or 10 hours per week. Overtime must be paid at 1.5 times the employee’s normal wage or an employee may 5.3 Daily and weekly rest periods 5.3.1 A daily rest period of 12 consecutive hours and a weekly rest period of 36 consecutive hours, which must include Sunday, unless otherwise agreed, must be allowed. 6. Meal intervals An employee is entitled to a one-hour break for a meal after not more than five hours work. Such interval may be reduced to 30 minutes, by agreement between the parties. If required or permitted to work during this period, remuneration must be paid. 7. Sunday work Work on Sundays is voluntary and an employee can therefore not be forced to work on a Sunday. If the employee works on a Sunday he/she shall be paid double the daily wage. If the employee ordinarily works on a Sunday he/she shall be paid one and one-half time the wage for every hour worked. 8. Public Holidays The days mentioned in the Public Holidays Act must be granted but the parties can agree to further public holidays. Work on a public holiday is entirely voluntary and an employee may not be forced to work on such public holiday. These days can be exchanged for any other day by agreement. If the employee works on a public holiday he/she shall be paid double the normal day’s wage. 9. Annual leave Annual leave may not be less than 21 consecutive days for full-time workers or by agreement, one day for every 17 days worked or one hour for every 17 hours worked. The leave must be granted not later than six months after completion of the period of 12 consecutive months of employment. The leave may not be granted concurrent with any period of sick leave, nor with a period of notice of termination of the contract of employment. You may specify that leave has to be taken at a certain time, or is not allowed at a certain time (e.g. over shut down or a busy period respectively). 10. Sick leave During every sick leave cycle of 36 months an employee is entitled to an amount of paid sick leave equal to the number of days the employee would normally work during a period of six weeks. During the first six months of employment, an employee is entitled to one day’s paid sick leave for every 26 days worked. The employer is not required to pay an employee if the employee has been absent from work for more than two consecutive days or on more than two occasions during an eight-week period and, on request by the employer, does not produce a medical certificate stating that the employee was unable to work for the duration of the employee’s absence on account of sickness or injury. 11. Maternity leave The employee is entitled to at least four consecutive months` maternity leave. The employer is not obliged to pay the employee for the period for which she is off work due to her pregnancy. However, the parties may agree that the employee will receive part of her entire salary/wages for the time that she is off due to pregnancy. 12. Family responsibility leave Employees employed for longer than four months and for at least four days a week are entitled to take three days’ paid family responsibility leave during each leave cycle when the employee’s child is born, when the employee’s child is sick or in the event of the death of the employee’s spouse or life partner or parent, adoptive parent, grandparent, child, adopted child, grandchild or sibling. 13. Deduction from the remuneration The Basic Conditions of Employment Act prohibits an employer from deducting any monies from the employee’s wages without his/her written permission. 14. Other issues There are certain other issues which are not regulated by the Basic Conditions of Employment Act such as probationary periods, right of entry to the employer’s premises, afternoons-off, week-ends-off and pension schemes, medical aid schemes, training/school fees, funeral benefits and savings account. However, the aforementioned may be negotiated between the parties and included in the contract of employment. 15. Prohibition of Employment The Basic Conditions of Employment Act prohibits employment of any person under the age of 15 and it is therefore important for an employer to verify the age of the employee by requesting a copy of the identity document or birth certificate. NB: These guidelines are not meant to be a complete summary of the Basic Conditions of Employment Act and/or legal advice. Should there be any doubt as to rights and/or obligations in terms of the Act or terms of any clause of the suggested Contract of Employment, such queries can be directed to the local office of the Department of Labour.